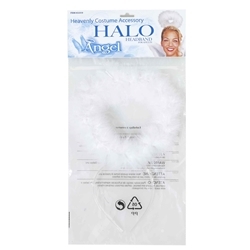 Finish off your angel costume with this marabou trimmed angel halo. This angel halo comes on a headband and is trimmed with white marabou feather. Just add a pair of our angel wings and a harp to complete the angel look.